When I featured this dress in a Topshop Haul months ago all I could think about was how much it reminded me of dragons. The green criss cross pattern and the unique overlay cut out just screamed dragon to me. That idea seems to have stuck and this dress has been dubbed "The Dragon Dress" by anyone who's seem me wear it. I wasnt sure about it at first, it's not really my style as such. I dont really like wearing colour and I intitially felt the style was too "meet the parents" for my day to day wardrobe but Im glad I went with it and decided to keep the dress. Paired with my usual leather jacket and fedora combo it's a match made in heaven. Very pretty, love the overlay! Amazing look. Love the cute dress! Kind of reminds me of Medusa and her snakes. I love the overlay on it and the colour. I love the green and fitted layers, such a nice design on you! It looks great on you, I love the colour scheme of turquoise and black! Loving the dress~ I like the colour of it and it is quite a unique design. Haven't shopped in topshop in a while now so I think its worth going to check their new stuff out. This looks so lovely on you Lily, that shade and pattern suits you so much (: plus 'dragon scales' = a step closer to being Daenerys so who's winning now eh? Hope you're well dear! I would've said mermaid scales but dragon sounds more majestic and ferocious! Totally know what you mean ! Definitely glad that you kept the dress, I really like it! That's such a pretty dress and the green color looks really good on you! The shape of the dress is super flattering Lily! Awesome pattern too, especially when paired with the jacket. Anyways it is really pretty! Very cool look! I love the jacket. i've got this dress as well and it's such a beautiful pattern, similarly to you i pair it with my leather jacket and some boots! 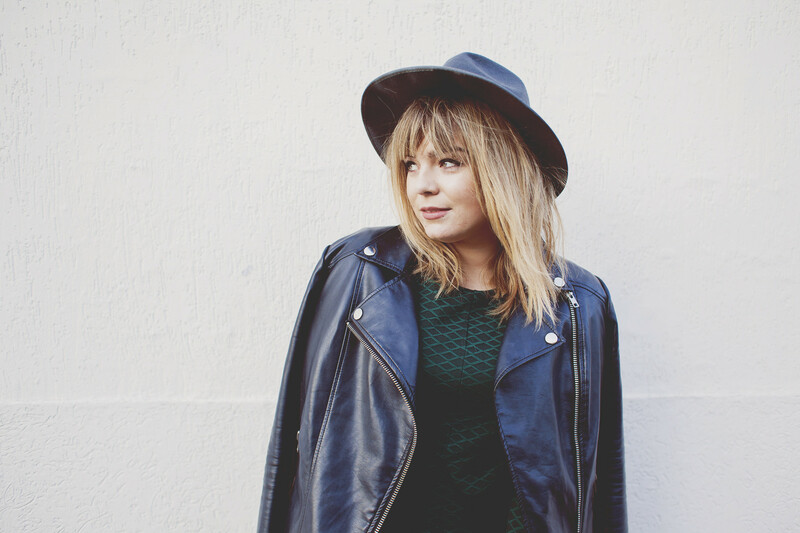 love how you have styled this dress, lovely post! Love the dress and your sequined clutch! 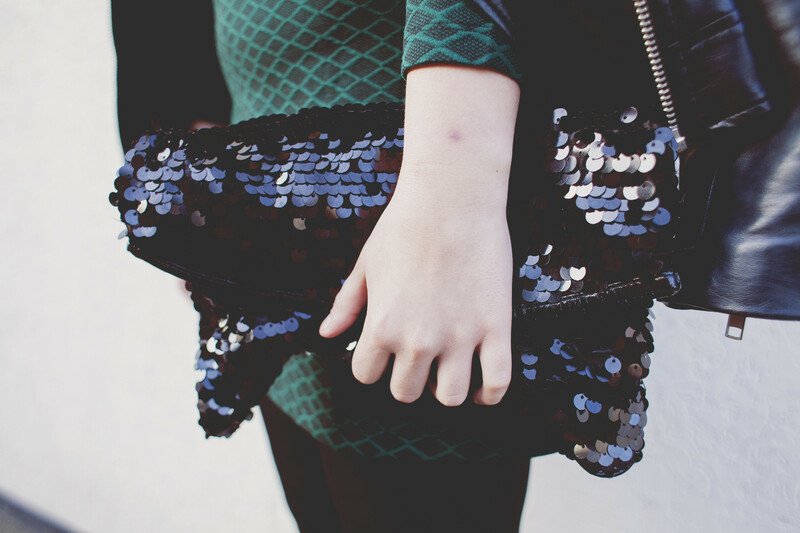 I'm carrying a sequined clutch (and tee) as well in my latest post. When I first saw this dress I almost bought it right away - now I'm regretting the decision not to! Love that dress so much! Could be dressed amazing up or down, great pick! I love overlay style dresses, it's such a lovely colour too. That dress looks so lovely! Love how you Lily-fied this dress. The sleeve length is my favourite and I'm starting to really love deeper greens in clothing! I love that dress, the colour and the shape are amazing! 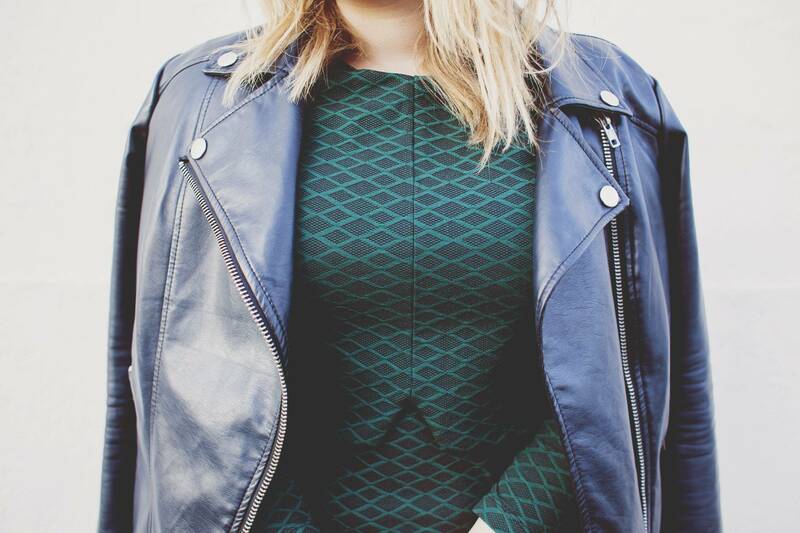 Love the colour and print of your dress, goes great with your leather jacket. I love the overlay effect on day dresses, it adds a little somethin' somethin' to an otherwise simple look. Totally agree that the pattern screams dragon, its a gorgeous colour on you though - glad you kept it! Dresses always look so amazing on you! You can definitely pull off this kind of edgy-girly look. Love this dress and the look entirely ! I totally see the "dragon" vibe hahaha! Love the outfit! love the dress suits you so much Lily and the way you styled it! This dress is beyond stunning and is such a stand out piece! Their chocolate chip cookies had too many chips and it tasted great. Valet parking at the corporate events was complimentary for us and they were professional and quick in checking in and out. Love it paired with that sequin clutch!! What a stunning dress. It does kinda remind me of a dragon or fish scales (in a good way!). Beautiful colour on you too. My name is Debora Larry P, I am a single Mom, the father of my child left me two years ago and married his childhood girlfriend because of his mother’s influence and his mother never liked anything about me. I gave up on him and took my child away from his family then relocate to another state just to forget about him and start a new life. My new life was actually not going as I planned but I keep on struggling to cope and take care of my baby. I miraculously met a man who was staying five blocks away; he loved me and promised to provide for me and my child. We dated for three years before he asked me to marry him last December, I agreed because I found real love and peace with him and my son can’t stay without him. He suddenly started active weird after our engagement party like and evil spirit is controlling him, he always starts argument and fight in presence of my son and asked me for a break which I gave but something inside me tells me that he needs help and he will never come back to me if nothing is done either physically or spiritually to help him go back to himself. So I searched for help everywhere until I met Dr.Wakina temple via email dr.wakinalovetemple@gmail.com. Doctor did the reading and discovered pure love among us and a confused spirit surrounding us too. He finally cast a reunion spell on us and brought him back at the exact time he stated this February. My husband to be is back and he thanks Dr. Wakina for the spell that made him realize his true love and his wife. I thank Doctor too and will recommend him to anybody who needs help to contact him via dr.wakinalovetemple@gmail.com. Thanks for everything Doctor. good Once you win a stage you will be unlocking new arenas also. official guide Hence when you own an emulator you can download any of the tools. Clash Royale Download for PC nice. good iTube will give you the alternative of picking the image resolution of the training video. official guide and very much considerably more. Before we offered Download iTube Android nice. Great It is absolutely totally free, quite user friendly and fairly very easy to navigate. snaptube downloader numerous resolutions that range from 144p to also 1080p Fine. Great as well as can develop your app store on your aptoide installer mount the application on your gadget Fine. good And From the "Usage Cellular Information FaceTime for Windows cannot discover it, do this: FaceTime isn't really available better. You could now take pleasure in watching movies, shows, mobdro app update your laptop by complying with the steps that are discussed in the above sections.